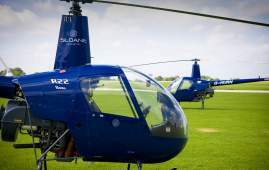 Learn to fly a helicopter at the Sloane Flying School from our base in Northamptonshire. Our excellent flight training facilities enable us to provide the highest standard of training for every level of pilot from the novice to the professional. Courses include the Private Pilot Licence, Commercial Pilot Licence, Flight Instructor Course and Instrument Rating Course. Begin your flight training with a Trial Lesson or enjoy as a one off experience. 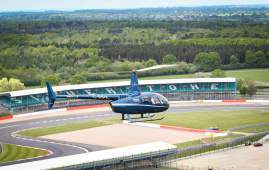 Treat yourself to a pleasure flight and enjoy a bird's-eye view of the Northamptonshire countryside. 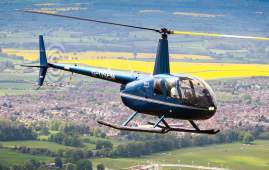 A Flight Discovery is an involved day of helicopter flying covering the first two PPL(H) lessons. 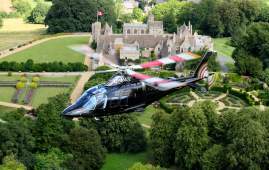 The PPL(H) (Private Pilot Licence) allows helicopter flying for personal use. Click for details. 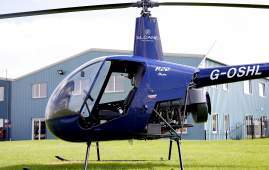 A CPL(H) (Commercial Pilot Licence) is required to fly helicopters as a career. Click for details. 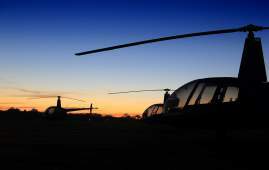 To fly as Pilot in Command during offical night, a helicopter pilot must hold a Night Rating. 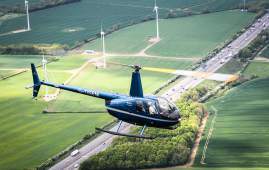 The FI(H) course aims to instruct trained helicopter pilots how to teach and not how to fly. Sloane can provide Type Rating training for a range of Robinson and Leonardo helicopter types. 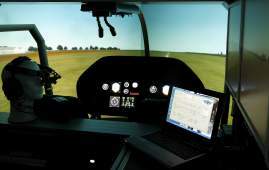 The IR(H) course consists of at least 40 hours simulator training and 10 hours flying in an AW109.